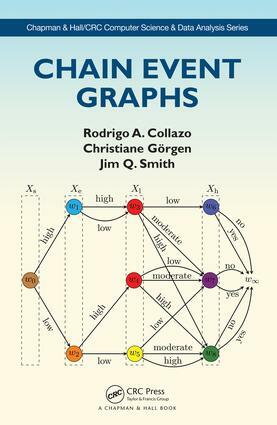 As the first book on Chain Event Graphs, this monograph is expected to become a landmark work on the use of event trees and coloured probability trees in statistics, and to lead to the increased use of such tree models to describe hypotheses about how events might unfold. Rodrigo A. Collazo is a methodological and computational statistician based at the Naval Systems Analysis Centre (CASNAV) in Rio de Janeiro, Brazil. Christiane Görgen is a mathematical statistician at the Max Planck Institute for Mathematics in the Sciences, Leipzig, Germany. Jim Q. Smith is a professor of statistics at the University of Warwick, UK. He has published widely in the field of statistics, AI, and decision analysis and has written two other books, most recently Bayesian Decision Analysis: Principles and Practice (Cambridge University Press 2010). "Statisticians Collazo, Görgen, and Smith provide a thorough introduction to the methodology of chain event graphs. The authors present background on discrete statistical modeling and the use of Bayesian inference. The chain event graph method is shown to be less restrictive than that of Bayesian networks, though it represents something of a generalization of that method. Beginning with an event tree, the chain event graph is a graphical representation that can represent a process of developing events. The authors present an array of examples to illustrate the concepts, and exercises are scattered throughout the text. Included with the book's purchase is access to software to create these models. Readers interested in this subject may also wish to consult the works of Judea Pearl, who developed Bayesian Networks and promoted the use of a probabilistic approach to the field of artificial intelligence (see, for example, Causality: Models, Reasoning, and Inference, CH, Mar'10, 47-3771)."